On behalf of the 18 allied revolutionary organizations of the National Democratic Front of the Philippines and the revolutionary people of the Philippines, I wish to extend my warmest greetings of revolutionary solidarity to the delegates and guests of the 2014 Ard-Fheis of the Republican Sinn Féin! 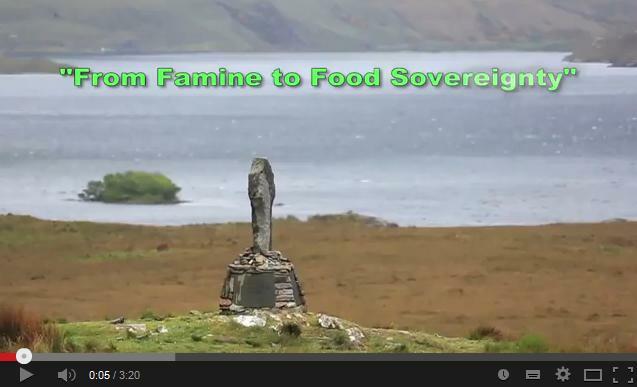 Where can you start in talking about the Afri Famine Walk? Well, 1849 is the best point because the Famine Walk is the re-enactment or retracing steps of a real tragedy that happened to people who died walking that way 165 years ago. There is a sense in which the ground we walk on is sacred, holy, or marked because we know some of the terrible things happened in that very place.